An Irishman born in Co. Louth in humble circumstances, who became a Young Irelander, a lifelong Irish nationalist and is revered as a Father of the Confederation of Canada, ironically and tragically ended up being assassinated by Fenians I50 years ago on April 7th. 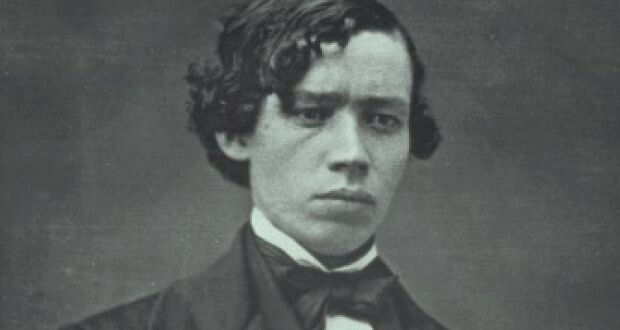 His name was Thomas D’Arcy McGee. He was born in Carlingford on April 13th, 1825, where his father worked for the coastguard. Receiving little formal schooling, the extensive knowledge he later displayed was self-acquired. He spent much of his childhood in Wexford, and the strong historic culture of that town had a lifelong influence on him. At 17, he emigrated to Boston, where he soon came to the attention of the Boston Friends of Ireland; he was employed by the Boston Pilot newspaper and quickly rose to become co-editor. Having attracted the attention of Daniel O’Connell, he returned to Ireland and to a job in the Freeman’s Journal in 1845. The disaster of the Great Famine caused him to gravitate to the more radical Young Ireland movement, and he joined their Nation newspaper. In 1848, he took part in the abortive rebellion, after which he managed to escape to the US, where he resumed his journalism. He had married Mary Theresa Caffrey in 1847; they had six children, but only two survived. While in Boston some years before, he had advocated that the British must be made to give up Canada and that the US should absorb it. But he seemed to become increasingly disillusioned with the US and more attracted to Canada as a place of Irish settlement. A strong reason for this was that with the great influx of Irish immigrants into the US in the 1840s and 1850s, anti-Irish feeling ran high and McGee, after a series of visits to Canada, came to believe that minority communities would enjoy more tolerance there. However, when he advocated this, he fell foul of Irish Catholic leaders and Catholic bishops in the US; the latter particularly ridiculed his suggestion that Canada would be more tolerant of Catholics than the US, given the dominance of the Orange Order there. But McGee countered that the Canadian Orange Order was much more moderate than its Irish counterpart. His biographer David Wilson pointed out that some parts of the Canadian Orange Order were strongly anti-Catholic, but the Canadian government was making moves to accommodate Catholics, especially in eastern Canada. In 1857, he moved to Montreal, set up the New Era publication and championed the union or confederation of the various parts of Canada. He was a prolific pamphleteer and gifted orator in his advocacy of education and economic improvement for Irish immigrants. 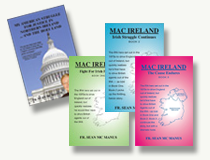 Two books he had written in the US, History of the Irish Settlers in North America and Catholic History of North America, were pioneering studies and his two-volume Popular History of Ireland, written in Canada, proved enduringly popular on both sides of the Atlantic. Elected to Canada’s legislative assembly as one of three Montreal representatives, he worked with various Reform governments before joining the Conservatives in 1861 because of their willingness to support Catholic schools. He became minister of agriculture, education, and statistics continued to urge confederation and attended the important Charlottetown and Quebec Conferences in 1864. Fenianism had grown in Ireland and the US in the late 1850s and 1860s. McGee opposed its violent, Republican philosophy (despite his own Young Ireland background) because he now favored the Canadian model of self-government within the British Empire. After the American civil war, battle-hardened Fenian veterans launched attacks on Canada, hoping to provoke a war between the US and Canada as a means of freeing Ireland. Nothing came of the attacks, but McGee strongly denounced them. Following the Confederation of Canada in 1867, he was elected as a Liberal-Conservative for Montreal West, but he had lost much Irish Catholic support. On the night of April 7th, 1868, he was assassinated outside his Ottawa home. The authorities suspected a Fenian conspiracy and a young man, Patrick Whelan, was arrested, convicted and executed, although there are questions about his guilt. McGee’s funeral, held on what would have been his 43rd birthday, attracted tens of thousands of mourners. In a comparatively short life, he traveled a long journey from his humble Louth beginnings to become a father of modern Canada. It was a journey based on great innate ability, great power of expression (both oral and written), great tenacity and an ability to envisage a better world – one in which old religious and ethnic divisions could be overcome in the greater interest.